The Air Force Sports Council Policy is governed by the‘Air Force Sports Council Constitution’. The eligibility to wear the AFSC Tie, Air Force Colurs Crest and Colours Tie and winning of trophies awarded for special achievements are governed as per the constitution of the AFSC. Only the President AFSC, Secretary AFSC, Treasurer of the AFSC, Assistant Secretary of the AFSC, the Chairmen, Secretaries, Assistant Secretaries, SNCOs of the respective games, the Commandant/ Base Commanders/ Commanding Officer from the Independent Sports Formations and all past members of the Sports Councilwill be eligible to wear the Sports Council Crest. Only the President AFSC, Secretary AFSC, Treasurer of the AFSC, Assistant Secretary of the AFSC, the Chairmen, Secretaries, Assistant Secretaries, SNCOs of the respective games, the Commandant/ Base Commanders/ Commanding Officer from the Independent Sports Formations and all past members of the Sports Council will be eligible to wear the Sports Council Tie. Colours shall be awarded/ re-awarded to those sportsmen/ sportswomen who fulfill the laid down criteria. 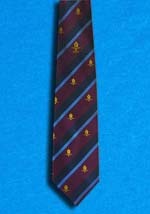 Essentially, such a recipient of Colours should either represent the Country, win a National Title, create or equal an existing national record, be awarded with Defence Services Colours/ winning a defence services title or be a member of the main team that wins or emerges as Runner-up in team sports such as Rugger/ Cricket etc. 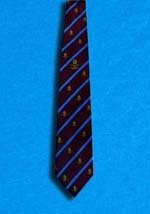 Only the Air Force Coloursmen will be entitlted to wear the Air Force Colours Tie. 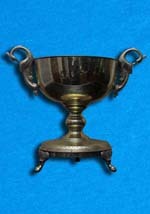 The Varthrasa Trophy is awarded for the “Most Outstanding Sportsman of the Year”. Criteria for the award – This Trophy will be awarded for an all round sports record or for any noteworthy achievement in respect of one particular sport by an individual. 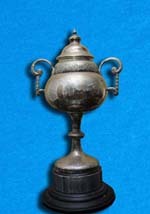 The Flight Lieutenant Priya Abeyweragunawardena Memorial Trophy is awarded for the "Most Outstanding Sportswoman of the year"
Criteria for the Award - This Trophy will be awarded for an all round sports record or for any noteworthy achievement in respect of one particular sport by an individual. 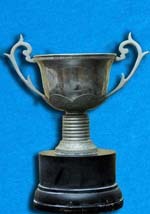 Criteria for the Award – The runner up to the outstanding sportsman will be awarded this trophy. 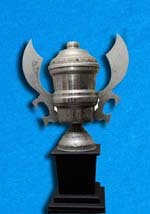 The criteria for selection will be the same as for the Vartharasa Trophy. The Air Force Sports Council Trophy is awarded for the “Runner-Up to the Most Outstanding Sportswoman of the year”. 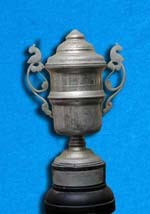 Criteria for the Award – The runner up to the outstanding sportsman will be awarded this trophy. The criteria for selection will be the same as for the Flight Lieutenant Priya Abeyweragunawardena Memorial Trophy. 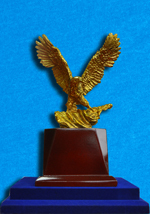 The President Air Force Sports Council Trophy is awarded for the “Most Outstanding Sports team of the year”. 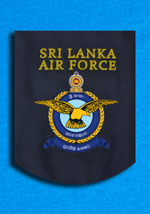 This award was divided into two separate categories in the year 2010 due to the significant performance by the Women’s sports teams of the Sri Lanka Air Force. Criteria for the Award – This Trophy will be awarded to a team that wins a National tournament, become inter services champion or become runner up ata National Championship meet. The Trophy for the most dedicated sports personality is awarded to the “Most dedicated sportsman/ sportswoman in the Air Force”. Criteria for the Award – This trophy is awarded to a Warrant Officer or NCO in recognition of the dedicateion towards the upliftment of a Sport in the Air Force in the capacity as a Manager, Coach or SNCO In Charge. 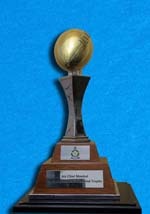 The Air Chief Marshal Harry Goonethilake Trophy is awarded to the “Most outstanding Rugby Player of the year”. 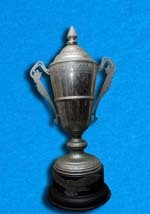 Criteria for the Award – This trophy is awarded to a member of the SLAF Rugby team in recognition of his contributin towards the overall team performance during the Rugby season. 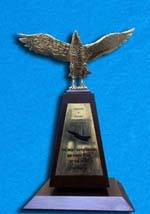 The Vernon Rajapakse Memorial Trophy is awarded to the “Most outstanding SLAF Station in the performance at the Inter Unit Games of the year”. 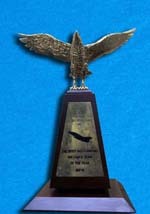 Criteria for the Award – This trophy is awarded to a SLAF Station after taking into consideration the Station’s achievements in all games during the year. The Golden Eagle Trophy is awarded to the “Most outstanding Sportsman/ Sportswoman in each game”. Criteria for the Award – An individual sportsman/ sportswoman from each sport should perform above the rest of the team members at a National level event. 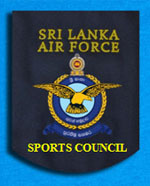 © 2012 Sri Lanka Air Force - Sports Council. All rights reserved.